Doesn't this look cool? First, when i saw this, i was like, "COOL! HOW THE HECK CAN SOMEONE DO THAT!?" I answered my question in less then a second. It's not really hard to do. It's not rocket science or anything. you just use food clotting that's all. First, you pour different food coloring in those ice thingies(I have no idea what it's called...i forgot :P) and you store them in the fridge until it's frozen solid. First, you place the orange ice cubes, then the red, then the yellow, then the green, then the blue, and then the normal ice cubes. 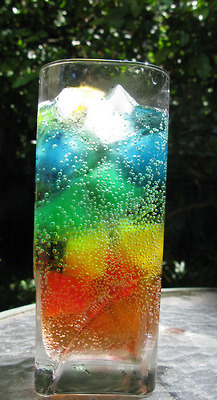 Pour soda over the cup of colorful ice. 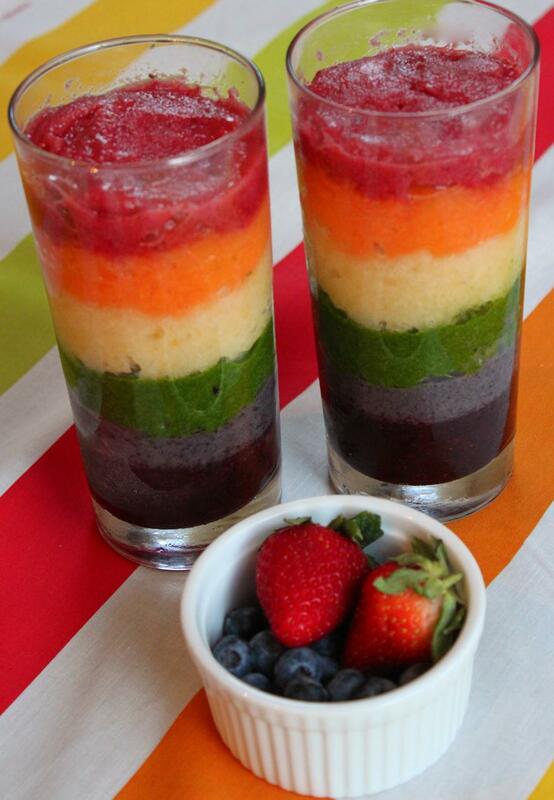 and there you have it... a bubbly rainbow drink! So, do you guys like this? 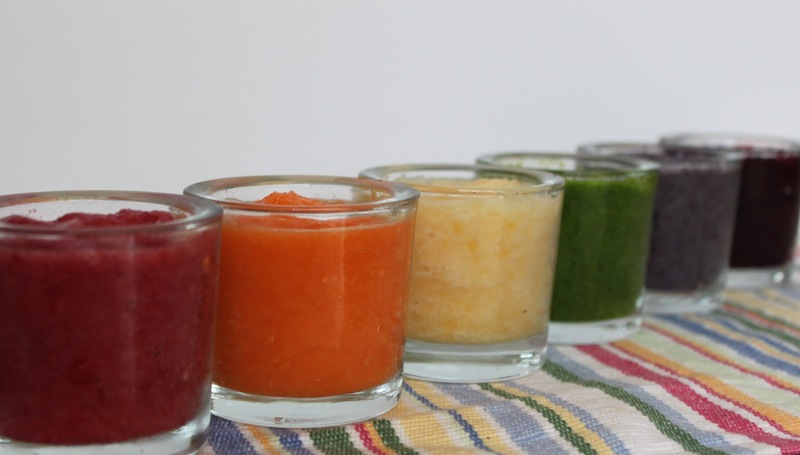 Combining all six of the smoothies creates a cheerful and vibrant rainbow smoothie full of nature’s colors, vitamins, minerals, fiber, antioxidants and protein.